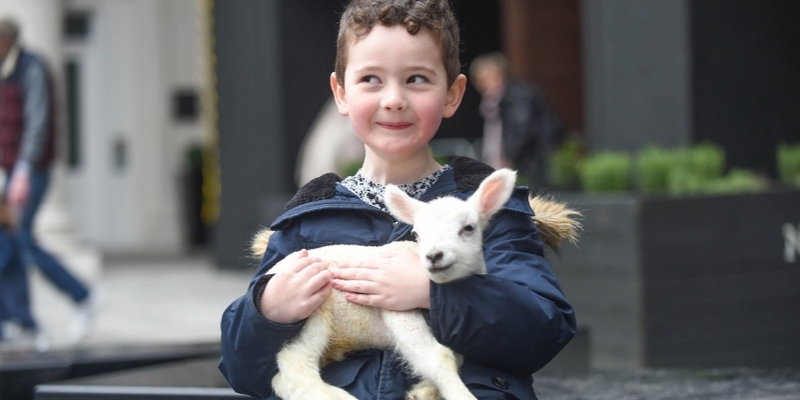 Na, just kidding – read on for a refreshingly pun-free guide to all of the fantastic Easter events happening in Cathedral Quarter Belfast. If you spend any of the holidays in the CQ, we would love for you to let us in on the fun – if you post on Facebook, Twitter or Instagram, please tag us in your posts and pics! The CQ Belfast BID is keen to show that the Cathedral Quarter is more than just the lively weekend nightspot we know and love. It is also a creative arts hub and a wonderful place for families and all ages to socialise together during the day, on school holidays and right through the week. That’s why we are delighted to present two creative workshops and a fantastic programme of family-friendly films – and all for free! 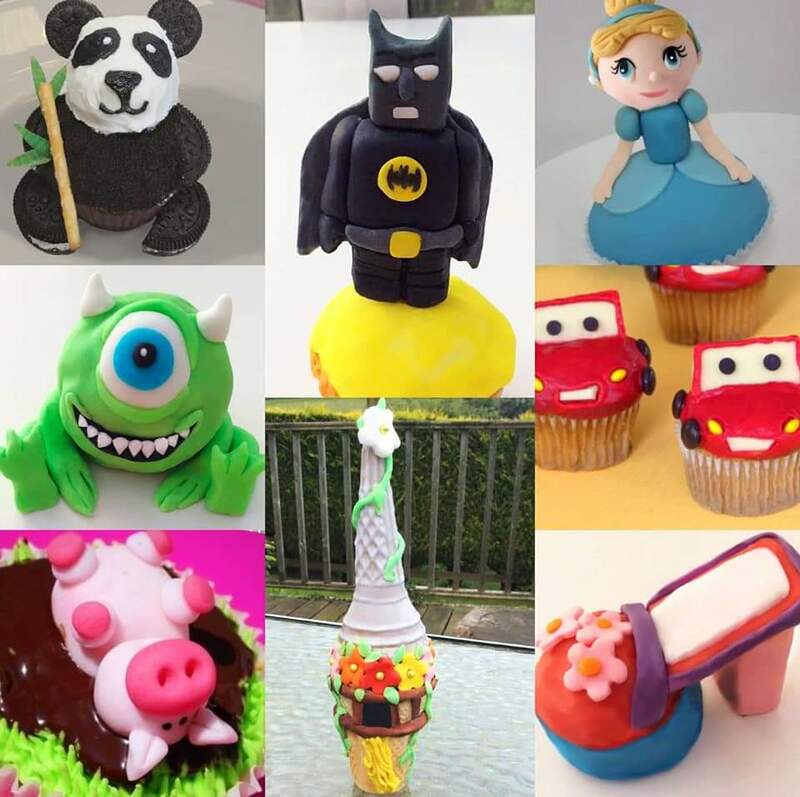 Our Easter-themed cupcake workshop takes place in the Black Box between 11am and 3pm – it’s free, so drop in any time. Our chocolate workshops at The Black Box will allow you to create wonderful tasty designs with melted chocolate! Choose from three half-hour sessions taking place throughout the day at 11.30am, 12.30pm, 1.30pm. Click the link above to book your free tickets. Funded by Belfast City Council and programmed by the Cathedral Quarter Trust, the Creative Cafes have transformed the city centre by encouraging dozens of families to spend some of their precious leisure time together in the city centre. They have been so successful that they are back for Easter between 23rd and 27th April. 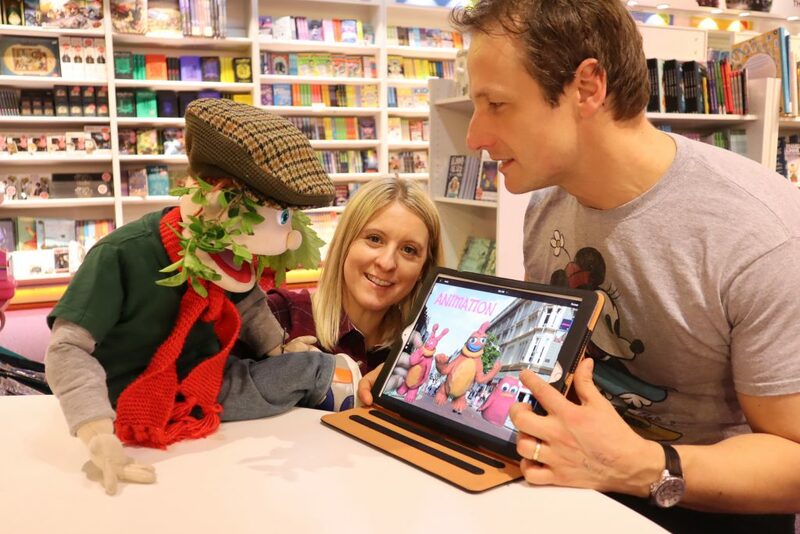 Join animal friends at Costa Coffee in search of the Awongalema Tree; let your imagination run wild at the ‘Martians in Belfast!’ Claymation workshop or learn about Photoshop with a little ‘Animal Madness’ in Easons; build colourful superstructures and land yachts, or get creative with science experiments in Castlecourt; or help intrepid heroes Muck and Hedges to find the Princess at Castle Place pop up park! Belfast’s new pop up park at Castle Place will be springing to life this Easter with a fabulous selection of events for all the family to enjoy between 23rd and 27th April. With the Easter holidays coming up the pop-up park is the perfect location for some outdoor family fun and Belfast City Council along with the Cathedral Quarter Trust have created a spectacular programme of kids’ entertainment in and around the park. The amazing line-up of events includes magic from FizzWizzPop, jaw-dropping circus performances from Mr H, Sideshow Ramone and Babcock and Bobbins and a fabulous puppet show entitled The Lost Princess from award-winning theatre company C21. Lord Mayor of Belfast Councillor Deirdre Hargey added: “The pop-up park has been a big hit since it opened at the end of March, and it’s great to be working with Cathedral Quarter Trust to fund this programme of Easter activity in the city centre as part of our ongoing commitment to supporting Belfast retailers. The Easter Animation Programme (which includes the Creative Cafes detailed above) is funded by the Belfast City Council. They also have Awesome Authors and Their Fantastic Fantastic fiction – an exhibition celebrating our best-loved children’s authors – running from now until the end of the month, so pop in on Good Friday or any day the following week from Wednesday onwards. Click here for the Library’s regular opening hours. Springy Storytime – You’ll have an extra spring in your step at our special storytime this Easter. Visit the family room for an afternoon of fun and meet Bouncer the trainee Easter Rabbit who will bring to life some exciting stories full of adventure and enchantment. On from 20 – 23 April. Easter Petting Zoo – With lambs, chicks, bunnies and lots more – cuddle, feed and stroke your farmyard favourites till your heart’s content. 22 – 23 April. Spring Nests (1 – 3 years) Explore the senses of spring in this craft workshop perfect for 1-3yrs. Little buds will build cosy textured nests and create fluffy chicks with colourful eggs. 22 – 23 April. Enchanted Garden (4 – 11 years) Use your imagination to design a magical mini world, making a home of fun for faeries, elves, trolls or dinos! 22 – 23 April. The Biggest Indoor Easter Egg Hunt in Belfast is back! Everyone is invited to call in on Easter Tuesday between 11am – 3pm so children (and grown-ups!) can explore all the Cathedral’s nooks and crannies in the search for those hidden eggs. Entry is just £2 per child with a prize for all successful egg hunters. Adults will be free to look around this beautiful building or relax with a cuppa while the young ones get stuck into the serious task of egg hunting. You can find a full list of The Cathedral’s religious services and events here too. 2 courses £18.95, 3 courses £21.95 + kids’ menu available. 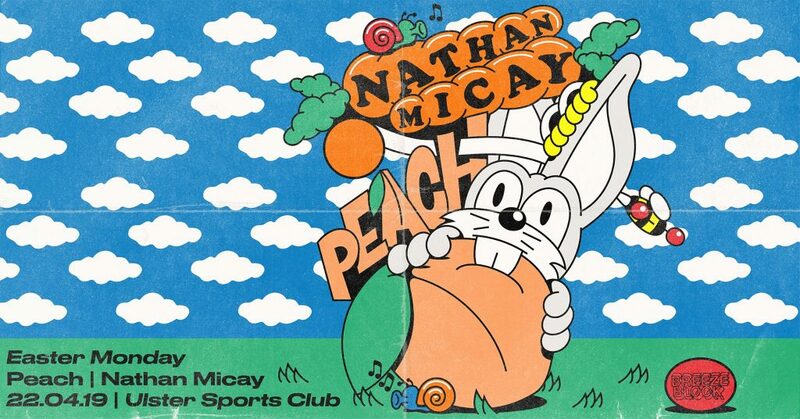 Live music from 4pm. 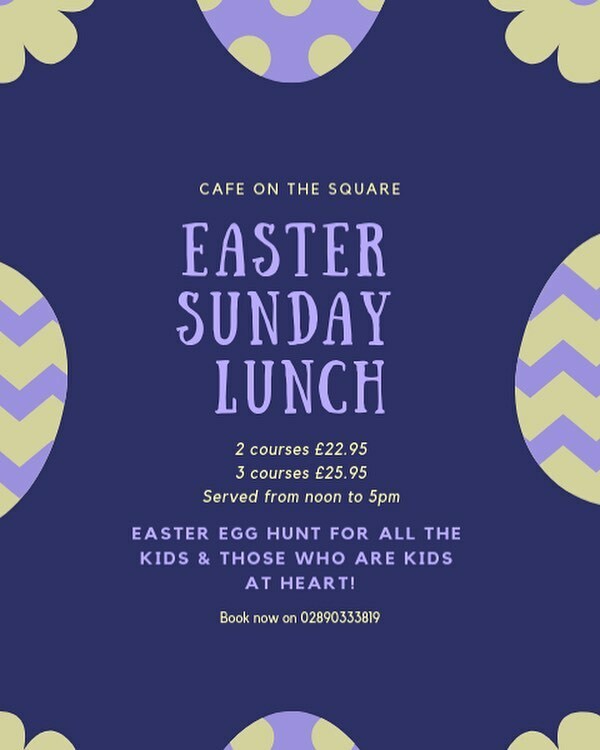 2 course- (£22.95) or 3 course- (£25.95) lunch and an Easter egg hunt for all the little ones! Call 028 9033 3819 to book. Fantastic Food, Drink & Live Music from 5pm. 2 Courses for £20, 3 Courses for £24. A bespoke three-course Easter Sunday menu for your enjoyment for £42.50 per person. Savour the best of seasonal dishes in the stunning surroundings of The Great Room. Call 028 9023 4888 to book. Easter Sunday Reggae Techno w/ BSC Soundsystem & Annaghtek. 6 – 11pm (bar open till 10pm). Get down early for those Spring afternoon Reggae vibes provided by Danny Dub morphing to Jungle from Undadog and finishing with some dub Techno from Illegal Swede. £3 Donation (to cover venue fee) Over 18s only. Powered by the BSC Soundsystem. The Breezeblock Easter Monday party is taking place in a brand new music venue, formerly the social club for The Ulster Sports Club. The venue is retaining the name as well as a lot of the original features, but is installing a sound system to rival anywhere else in the country. Drop into The Dirty Onion from 5pm on the 22nd for live music kicking off, with Yardbird flipping the burgers on the BBQ! We return to The Art Department for one of the highlights of the clubbing calendar – Easter Monday. Full squad for this one with Timmy & Jordan joined by Chris & Euan on the warmup. Advance tickets are only £5! Thursday, 18 April 2019 – Licensed premises may sell alcohol 11:30 – 23:00, those with a ‘late licence’ may sell alcohol until midnight. Off-licences may sell alcohol 08:00-23:00. Good Friday, 19 April 2019 – Licensed premises may sell only alcohol 17:00 – 23:00, even if they hold a late licence. Off-licences may sell alcohol 08:00-23:00. Easter Saturday, 20 April 2019 – Licensed premises may sell alcohol 11:30 – 23:00, those with a late licence may sell alcohol until midnight. Off-licences may sell alcohol 08:00-23:00. Easter Sunday, 21 April 2019 – Licensed premises may only sell alcohol 12:30 – 22:00, even if they hold a late licence. Off-licences are not allowed to sell alcohol at all. Easter Monday and Tuesday, 22-23 April 2019 – As usual. Licensed premises may sell alcohol 11:30 – 23:00, and those with a late licence may sell alcohol until 01:00. Off-licences may sell alcohol 08:00-23:00. Many pubs, bars and restaurants will open outside of these licensing times (for example, during the day on Good Friday), but will only be allowed to serve soft drinks as well as food. Whatever you get up to in the Cathedral Quarter Belfast this Easter, please share it with us! Tag us in your social posts – we are on Facebook, Twitter and Instagram – and use the #CQBelfast hashtag. If you have any ideas for articles or event listings on the website, please get in touch by emailing heather@cathedralquarterbelfast.com or submit your Cathedral Quarter event here.